Men are evil scum! Women are awesome! Eradicate the men! Blah, blah, blah! This issue has a lot of Valerie Solanas-type crap in it! SCUM! If you’ve wisely been avoiding the tragedy that is Batgirl & the Birds of Prey, then I’ll fill you in on the current story. “Manslaughter” features a viral outbreak in Gotham City that’s only infecting the men. There is no explanation detailing how it’s only infecting the men, it just is. Don’t ask questions! We’ve learned these Batgirl & the Birds of Prey stories fall apart when you try to include any inkling of logic, so just stop. This is what is written by the Bensons, therefore it must be! Understand? With all of Gotham’s men out of commission, it’s up to the Birds of Prey to save the day (Yes, I’m aware that rhymed. )… Lois Lane is also here to save the day get the scoop on a great story! But don’t worry, Batwoman is here to save the day! And Catwoman! And Harley Quinn, Poison Ivy, Gotham Girl, Cassandra Cain, Spoiler, Wonder Woman (cause we’ve gotta throw DC’s biggest female hero into the book for a sales boost), Amanda Waller, and more! It’s ridiculous! But considering the history of this book, are we really surprised? No. No, we’re not. So why is this issue cool? Because all of these women join forces to try and stop this epidemic! Yeah! Let’s dive into this book that reads as if it were written by a nine-year-old girl struggling to cope with her emotions after she witnessed her second-grade crush, Tommy Teller, kiss another boy in the schoolyard! Girls rule, boys drool! I wonder how many splash pages the Bensons can manage to fit all of these characters into, while also making sure each character has something to say? One is too many, and there’s more than one! I know many of you will say I’m out of line or inappropriate, but I’ve decided that my reviews have every right to be as ridiculous as this book. Batgirl & the Birds of Prey could be good. In fact, it should be good. Even this crazy story could be good if a little effort were put into it…. But there’s maybe 2% effort here. If you have the privilege of getting to a chunk of DC’s top female characters for a story, then actually do something with them! Do you want to know what nearly all of the characters do in this issue? They go draw blood from men they know that are infected with this virus. That, or they watch another hero do something. Do you want to know why? Because the Bensons didn’t know what to do with these characters and just thought it would be cool to throw all of them on a page. Well, guess what… It’s not cool. Out of all of the characters, three of them have value here: Poison Ivy, Batwoman, and Wonder Woman. Ivy comes up with the concept that if she has the blood of someone who’s infected, then she should be able to create a cure… Which is when three-fourths of these women go to get blood. Wonder Woman does what Wonder Woman does best, and goes off to save citizens that are trapped in a construction site, while Batwoman interrogates a suspect that may have something to do with this virus… And when I say, “suspect that may have something to do with this virus,” what I mean is a woman who is part of a cult that was caught pouring something into Gotham’s water supply, and openly admits all men need to die to cleanse Gotham… Yeah, I think it’s fair to say she’s more than a suspect. If you can’t tell, I absolutely loved this book. With illogical plots, poor characterization, and sorry excuse for dialogue, it’s the title that you need to pick up… If you want to drive yourself to drink. I mean, this issue has Spoiler verbally supporting mass genocide. I know I called out the writers and editors for including Stephanie in the Gotham Knights on two separate occasions, but just because she doesn’t support vigilantes while being a vigilante, doesn’t mean that she wants to kill all of the men in Gotham! With every page you read, you discover more examples of poor plot, characterization, or dialogue. I could literally write an essay about this issue (or any issue that came before this one), and point out multiple problems on every page. There are basic things that should be caught or changed before the book goes to print. I don’t understand how this title manages to be so sub-par each and every month. All I know is that I can’t be alone in this feeling, because sales keep drop, drop, dropping! The Art: Roge Antonio continues to cover art for Batgirl & the Birds of Prey. I wasn’t a fan of his work early in Birds run, but his art has gotten better over time. His characters have more form and shape that looks more realistic, and his approach to storytelling through art has improved. The one thing that continues to annoy me about Antonio’s art is the constant use of doe-eyes, shocked facial expressions… And this issue has an abundance of them! You Should Probably Hold Your Breath Ollie. Ollie comes to Gotham while all of the men are getting sick. Nobody has any idea what this virus is, how it’s transmitted, or why it’s only infecting men… But somehow Canary knows that it isn’t airborne. Newsflash: Women Are Awesome. Yes, I agree, many of them are… But dialogue like this makes me cringe. Steph’s New Non-Vigilante Name is Genocide. Seriously, who allowed this? Out of all of the things they could have written for Steph, they write this? They do realize that she isn’t a villain, right? Also, note that each character has something to say here because they had to do something since most of them aren’t actually doing anything in this story. Some Seriously Flawed Logic. The bad guys – excuse me, bad girls – here are the Daughters of Gotham. They want to kill all men, and state this more than once. 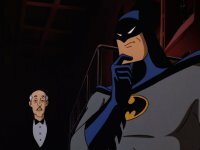 Now, you might be thinking, “Wait so they only want to get rid of men in Gotham? Not all men? What’s the point of that? Or are they just starting with Gotham? If they want to get rid of all men, do they realize they’d be committing genocide of the human race?” Don’t worry! The writers thought about this and covered their bases! Yeah… They want to kill off all of the men in Gotham, and then – I guess – have babies using men from other cities so that they can have good men in Gotham… Logic ladies and gentlemen! Or, you know, the lack thereof. Are We Supposed to Believe This Fight? The Daughters of Gotham stand in a large group on the steps of City Hall and challenge our heroes. Despite the fact that Black Canary alone could have knocked them all unconscious with her Canary Cry, they somehow get the upper hand on our heroes by throwing gas grenades that knock everyone out… Except for Wonder Woman, who just stands in one place looking around bewildered as the DoG kidnap Batgirl, Batwoman, and Harley Quinn… She eventually claims, “I couldn’t see through the smoke.” This is how your heroes are written in Batgirl & the Birds of Prey ladies and gentlemen! Gail Simone’s Birds of Prey. Scott Beatty and Chuck Dixon’s Batgirl: Year One. TV Shows such as: Orphan Black, The Americans, Jessica Jones, How to Get Away with Murder, Scandal, The Good Wife, Buffy the Vampire Slayer, Alias, Nakita, Firefly, S.H.I.E.L.D., Terminator: Sarah Conner Chronicles, Bones, Fringe, Lost, Jane the Virgin, and many, many more! Nearly any movie starring Meryl Streep, Viola Davis, Kate Winslet, Helen Mirren, Kate Blanchet, Hillary Swank, Halle Berry, Penelope Cruz, Bette Davis, Sigourney Weaver… You know what, just Google “Best female actors” and watch their movies. Hell, go buy an Adele album. Anything but this.